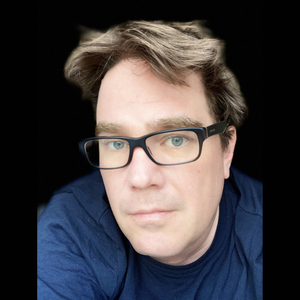 Graham is an award-winning security blogger, researcher and public speaker. He has been a well-known figure in the computer security industry since the early 1990s when he worked as a programmer, writing the first ever version of Dr Solomon's Anti-Virus Toolkit for Windows. Graham Cluley has given talks about computer security for some of the world's largest companies, worked with law enforcement agencies on investigations into hacking groups, and regularly appears on TV and radio explaining computer security threats. Graham Cluley was inducted into the InfoSecurity Europe Hall of Fame in 2011. Graham Cluley has hosted 125 Episodes. 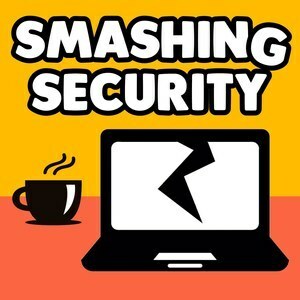 In this special "splinter" episode of the "Smashing Security" podcast from September 2017 we tackle the tricky subject of backups - When did you last backup your data? How and what should you backup? And where should you store them? Office Depot and OfficeMax are fined millions for tricking customers into thinking their computers were infected with malware, car alarms can make your vehicle less secure, and facial recognition in apartment blocks comes under the microscope. An app leaking private conversations and intimate photographs is ignoring requests to fix the problem, hackers poison a security update sent to ASUS PCs, and how to protect your privacy in motel rooms. Online drug dealers get busted due to poor OPSEC! People are still failing to wipe their USB sticks properly! A potential presidential candidate is outed as a former hacker! Flat Earthers! Pi! Empathy! Twerking robot assistants, an app from Saudi Arabia that lets men track women, and a gnarly skiing security snarl-up! Oh, and find out how a didgeridoo could change your life and that of your loved ones. Why is Tampa's mayor tweeting about blowing up the airport? Are hackers trying to connect with you via LinkedIn? And has Maria succeeded in her attempt to survive February without Facebook? Plus, after last week's discussion about the legal battle between Mondelez and Zurich Insurance, we have a chat with security veteran Martin Overton to take a deeper look into cyberinsurance. How would you track someone who owed you money? What was the colossal flaw Facebook left on its website for anyone to exploit and hijack accounts? And what excuse are insurance companies giving for not paying victims of the NotPetya malware millions of dollars? 115: Love, Nests, and is 2FA destroying the world? Is two factor authentication such a pain in the rear end that it's costing the economy millions? Do you feel safe having a Google Nest in your home? And don't get caught by a catfisher this Valentine's Day. Jack Rhysider from the "Darknet Diaries" podcast joins us to chat about his interview with the elusive Hacker Giraffe, how a death is preventing cryptocurrency investors from reaching their money, and how 'beauty camera' apps are redirecting users to phishing websites and stealing their selfies. A FaceTime bug allows callers to see and hear you before you answer the phone, Facebook's Nick Clegg tries to convince us the social network is changing its ways, and IoT hacking is big in Japan. Business email compromise evolves to target your company's payroll, how the world's largest gold coin was stolen from a Berlin museum, and are internet giants feeling the heat yet over data security? Why a business spat resulted in Liberia falling off the internet, how the US Government shutdown is impacting website security, and the perplexing world of extreme IoT devices. 110: What? You can get paid to leave Facebook? Twitter and the not-so-ethical hacking of celebrity accounts, study discovers how you can pay someone to quit Facebook for a year, and the millions of dollars you can make from uncovering software vulnerabilities. Join us for our special Christmas episode as we tell tales of printer hacking, website defacement, Grinches, and how Google is snooping on your private YouTube videos.